Pictures have emerged on social media of some angry youths in Makurdi, suspected to be of the opposition in Benue who stormed the Aper Aku stadium, venue of the All Progressives Congress, APC presidential campaign rally, to “wash” away the presence of the APC from the state. 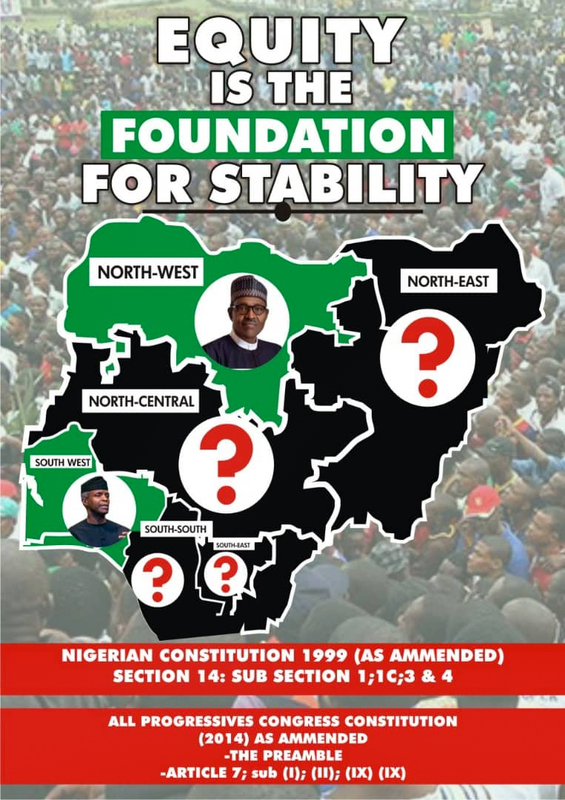 The APC presidential candidate had visited the state on the 6th of February in continuation of his nationwide presidential rally. 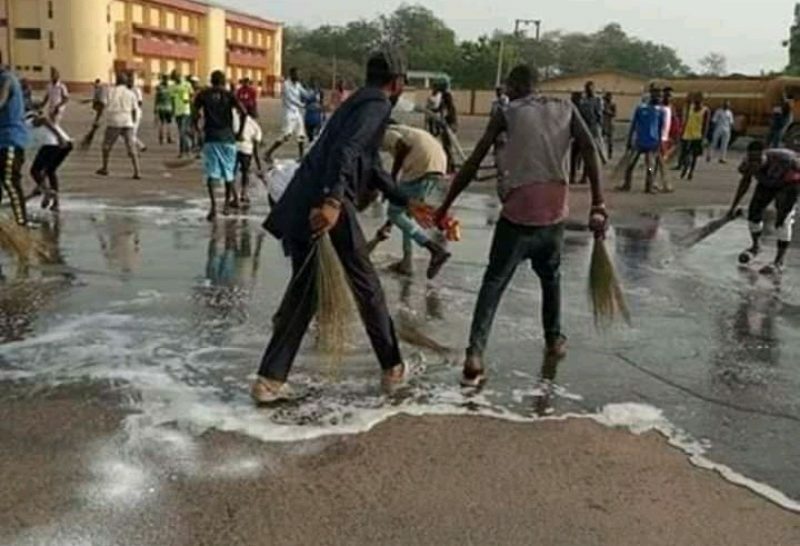 Immediately after the rally, some youths besieged the stadium, carrying brooms and water containers. 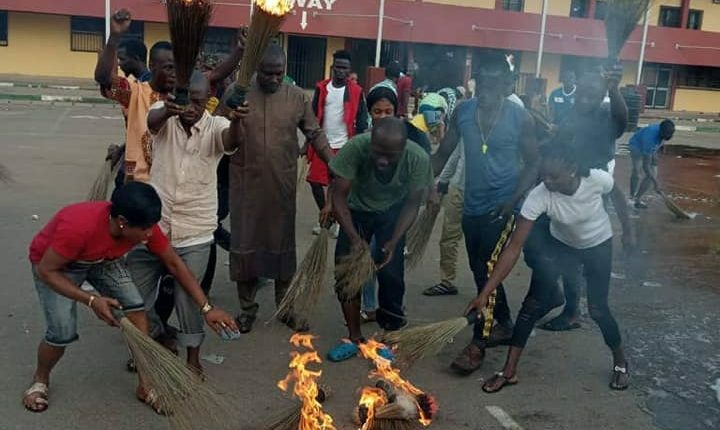 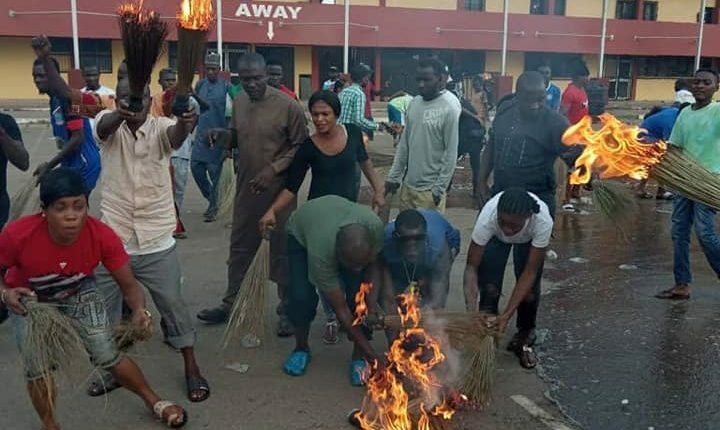 The youths set ablaze a pile of brooms, which is the symbol of the APC and poured water on the ground to wash away the footsteps of the visitors. 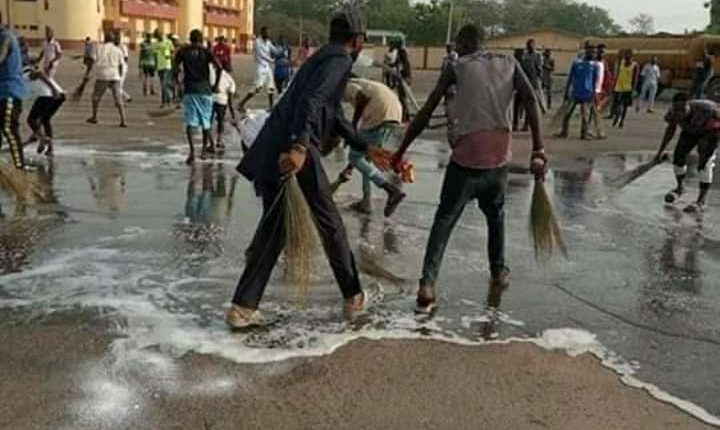 Some Benue youths shared pictures depicting these actions on facebook, and described the gestures as an act to ‘cleanse’ the state of ‘bad luck’ they claimed the president brought to the state. 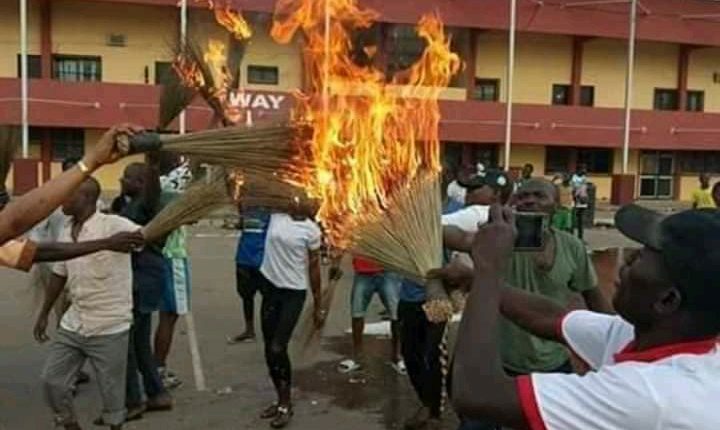 Below are some of the pictures of the exercise posted on facebook by some members of the opposition.